Located on the historic plaza to provide craft beer for other restaurants in Loreto. El Zopilote Brewing Company Craft Beer has arrived in Loreto. This great compnay is co-owned by husband and wife team, Kieran and Norma Raftery. Kieran hails from Southern Ireland and Norma is Mexican; together it’s a craft beer marriage made in heaven. El Zopilote Brewing Company opened last November and has since expanded beyond it’s original Restaurant 1697 located on the historic plaza to provide craft beer for other restaurants in Loreto. El Zopilote brews three beers: Tombstone Pale Ale, Rattlesnake IPA and a stout, El Bandido Black. SOLD! 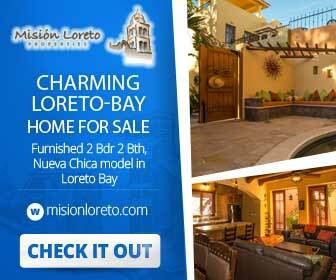 Two bed Two bath home for sale in Loreto with Mexican Style and Color!